Amarhome - Best Drug Addiction Treatment Center in Dhaka. A trusted name in drug addiction (substance use disorder) management, AMAR Home is a specialized drug addiction treatment center that helps individuals suffering from addiction to substances or drugs. We provide a compassionate environment and the cooperation that gives the feeling of a second home away from home. We at AMAR Home offer a complete range of treatment options for individuals struggling with addiction. We follow a multidisciplinary treatment approach to treat substance use disorders alongside others related physical and mental issues for long-term success. A dedicated staff of experts and highly qualified internationally acclaimed professionals work together to provide effective and comprehensive treatment for both residential and non-residential Clients. We have a high quality of aftercare program where we provide comfortable living environments and therapeutic supports to the clients for long term recovery from drug addiction. We also offer a powerful family support program to empower family members. So, the family can be an integral part of the treatment process and support for their loved one. In learning and therapeutic environment at AMAR Home clients are trained in how to make a healthy relationship with others and lead a productive life in the community. Finally, we fully believe in a holistic approach where we work to meet the all unmet needs of the client with substance use disorder while maintaining full confidentiality. Our inpatient service includes 24×7 treatment in a homely environment. We use the renowned community based multidisciplinary treatment to alcoholic patients. Re-socialization of individuals is the focus point of the 4-months treatment plan. The outpatient program is like a continuation of the long-term project. After ending the inpatient treatment, outpatient care is a follow-up program that reminds the lessons from 4-months treatment. This program includes a inhibit method that triggers addiction. Continuous support is necessary for a healthy recovery from the alcoholism. Treatment is an instant solution while aftercare is to sustain the result. Drug testing is a vital element of aftercare, which assures the readiness of the patient for a healthy life. Drug addiction is a condition wherein a person is both physically and mentally dependent on illicit, mind-altering substances, in such a way that it starts to interfere with the person’s normal functioning and behavior. It is a complex neurobiological disease that completely alters the condition and structure of the brain as it unfolds gradually. This in turn affects how the brain works. Drug addiction is thus also considered as a brain disease. Without early intervention and proper treatment, these changes to the brain can last long enough to become completely irreversible. This is also due to fact that the conditions and changes brought about in the brain further and deepen and reinforce drug addiction, so the person suffering from it basically has no way out, even if they wanted to. Treatment of drug addiction needs an integrated therapy of the mind, body as well as the spirit. The effect on the person’s mind manifests itself as a constant feeling of not being able to function normally without the drug of choice. This, in turn, causes visible manifestations on the body, making the person feel slight amount of anxiety in milder cases, and in more chronic cases, convulsions and seizures.If left un-treated, it can even lead to death. It distorts the person’s thinking and perception, and makes the person unable to control his/her behavior,judgment and decision-making capabilities. The person’s learning and memory capabilities are also affected. Unfortunately, the negative consequences that the person’s compulsive and uncontrolled drug abuse brings to a his/her life causes the person to return to drugs again and again and makes it even more difficult for them to recover. Other than affecting the health of the drug abuser, it also affects their professional goals, relationships and quality of life. A lot of people also become addicted to misused prescription drugs. Other forms of drug abuse include chemical substances that are not manufactured for human consumption (inhalants) or party drugs (ecstasy). Some addicts abuse the use of hallucinogens like LSD, or . Although Marijuana has a good reputation in general, it is ironically the most widely abused illicit drug. Contrary to common belief, drug addiction is not just the abuse of illicit chemicals and medicine. Alcohol abuse is also a form of drug abuse. Although alcohol is legal in most countries, the effects of it can be quite close to those of illegal drugs. In fact, most alcohol abusers tend to turn to drugs as they seek alternate and stronger forms of stimulation. A common question most people ask is what causes people to turn into drug addicts? The answer is that there can be a multitude of reasons. Most commonly, it has been found that people who suffer from some form of mental health disorder have a higher likelihood of developing a substance abuse disorder. In other cases, it has been found that people suffering from emotional or physical hardships turn to substance abuse as a form of comfort or pain relief. No matter what the underlying cause, drug addiction has harmful consequences on a person’s health and quality of life, and in extreme cases, it can also be fatal. As such, an early intervention and treatment is of top priority if a person is found to be showing symptoms of drug abuse. If you find yourself asking this question, chances are, you already know the answer too. Quite often our gut feeling lets us know that we are having a problem, but a part of the brain chooses to ignore it. This is how the minds of most substance abusers work. Regular use of drugs may not be a sign of addiction, as long as it does not cause any kind of behavioral, emotional or physical triggers. Does your drug use make you uncomfortable? Are you spending less time with loved ones because of drugs? Are you afraid of how you will feel if you stop using? If you start to find solace in drugs and a way to escape worldly problems or uncomfortable situations and feelings, you might want to think about looking for someone to intervene. Oftentimes an addiction causes a person to avoid friends and family so as to just escape any form of questioning or embarrassing situations. You may feel a sort of short-term relief in the moments following the ingestion of the substance, but after its effect wears off, you would feel guilty and worse than you did before. This whole cycle of shame and escape may prevent you from speaking to loved ones openly about the actual problem that caused you to take the substance in the first place. You may also find yourself avoiding friends to hide and spending more time with people who you know deep inside are wrong for you. You may also find yourself spending a large part of your time thinking about how to acquire the drug or how to acquire the money to purchase the drug. This is a sure shot sign that you are hooked and in need of immediate help. Confide in someone very close to you. Most of the time, the best option would be to talk to a parent. Get yourself enrolled in a rehabilitation center. AMAR Home drug addiction treatment center has both in-patient and out-patient facilities. Maybe all you need is just some counseling. If in doubt, get yourself tested, so as to be sure that you are safe. If not, speak to our doctors, so that you can get to the root of the problem and make your way to recovery. Think about what you are missing out on because of drugs. If not about yourself, think about your loved ones. They too feel pained to see your agony. Fight away addiction and win back your life, because you deserve every bit of it! Heroin is known all over the world by various names, like dope, smack, horse or junk. The drug is an opiate and is obtained from the opium poppy plant seed pod. The main component of this drug is morphine, but generally, the drug is mixed with different filler substances like caffeine, baking soda, and sometimes even rat poison. The drug comes in a variety of forms. It may be available as a white or brown powder, or a black sticky substance (called black tar heroin). Usually the whiter the powder, the purer the quality of heroin. The brown color of the heroin is mostly owing to addition of impurities. The drug has a distinct vinegar-like smell, which can often be used to identify it. There are different ways of ingesting this drug. Some people smoke it, some ingest it directly through the nose, while others inject it sub-dermally (just under the skin), intra-muscularly (into the muscle) or intravenously (into a vein). The easy availability of the drug, along with its lower price makes the drug easily accessible to people from all walks of life, irrespective of social or financial status. The drug is highly potent, so those who use it, start feeling its effects very quickly. The immediate effects of taking this drug are a feeling of euphoria or pleasure, that many describe as an ecstatic ‘high’. The opioid in the drug binds itself to receptors in the brain that are responsible for pleasure and mood, like the brain stem. This is especially harmful, since the brain stem is responsible for controlling the important functions in our body, such as blood pressure and breathing. The brain gets rewired into thinking that heroin is an essential chemical and it gets singularly focused on getting that high at any cost. This causes individuals to go to extreme measures to get that high again. Other psychological long-term effects include anti-social personality disorder and depression. Heroin can be very addictive. Recovery is possible, but not easy. In most cases, detoxing and withdrawal can be extremely difficult and sometimes harmful to the body if not done under proper guidance. As such, it can be extremely difficult for a heroin addict to quit the drug on their own. More so, because it affects parts of the brain that control judgment, planning and organization. As such, it might be in the best interest of the user to enroll in a rehab center, like AMAR Home, that offers a detox program, along with multiple phases of therapy, including medication, counseling and talk therapy. All this is necessary if the person truly wants to recover from heroin addiction. If the person is given proper treatment and the right kind of support, complete recovery and a sober life is possible. If you want to help a loved one recover form heroin addiction, bring them over to AMAR Home. Help is within reach. Marijuana is called by different names in different societies. Some call it cannabis, while others call it weed. In recent times, the drug has been legalized in many countries, owing to some of its medicinal properties. In Bangladesh, laws have made the cultivation, transport, sale, purchase, and possession of marijuana in any of its forms illegal since 1980s. However, the drug continues to be sold under cover. About 90% of people who take marijuana do not necessarily get addicted, However, 10% of them do, which still makes it a problematic issue, especially if youngsters and school-going children are exposed to the drug. Marijuana has been proved to be a mood-altering substance, having potential for a number of risks, which include the risk of dependence. A person addicted to Marijuana usually feels withdrawal symptoms when not taking the drug. People who use marijuana frequently often report irritability, mood and sleep difficulties, decreased appetite, cravings, restlessness, and/or various forms of physical discomfort that peak within the first week after quitting and last up to 2 weeks. It is mostly ingested to get rid of anxiety, depression, PTSD and even as a painkiller. People who experience nightmares have found solace in marijuana as it shuts down the process by which the brain forms dreams. However, with continual use, tolerance sets in and this can lead to a dependence. Although not nearly as extreme as heroin or alcohol withdrawal, quitting marijuana does appear to cause withdrawal symptoms in heavy, frequent users. At this point, not getting access to the drug will result in heightened levels of the same problems that the marijuana helped relieve. So, heart rates go up, insomnia becomes rampant, or intense and vivid dreams / nightmares become frequent when asleep. In contrast to opiate misuse, which can set in fairly fast with heavy use, marijuana addiction can take months or even years to develop, and the person using it might not even realize when they’ve crossed the line into addiction. If you or your loved one are addicted to marijuana, then this is the first step. This is your opportunity to change your life. Head over to AMAR Home and get a proper diagnosis done. Our doctors and experts can provide you with all the help that you need to get back to a normal life, free from drugs. Symptoms of drug addiction differs according to the drug being used. There are some drugs that show obvious signs of addiction, while for others, it is much harder to spot the signs, which often causes a delay in treatment. For example, an obvious symptom of a heroin addict may be the presence of injection equipment like a syringe, a spoon that shows obvious signs of being burned and a lighter. Alcohol addiction, on the other hand, is hard to detect, until it gets too late. Intense cravings: Drug addicts tend to experience intense urges or cravings for the drug they become dependent on as their addiction develops. Tolerance: Over time as the person continues to use the substance for a prolonged time, they tend to build up a tolerance to the drug. What follows is a need for more quantities of the drug, to get the desired effect. Withdrawal symptoms: At one point, the person may find it difficult to stop using the substance, or to wean themselves away from the substance, as they start experiencing withdrawal symptoms. This sort of withdrawal symptom is a strong indication that there is a physiologic dependence at play. Poor judgement: It is a common observation among most drug addicts to engage in risky behaviors like stealing, lying, selling drugs and other crimes. This mostly stems from the need to obtain more of the drug as well as the inability to think clearly or logically about consequences. Drug-seeking: People addicted to drugs find themselves spending excessive amounts of time, energy and money in finding and getting their substance of abuse. Financial problems: Most drug addicts can be found to be suffering from financial troubles as they tend to spend large amounts of money on purchasing drugs and in turn go outside their budgets and drain their bank balances. The fear of social stigma mostly causes drug addicts to hide from people. This may, in turn lead to depression, anxiety, or paranoia, which will make them try to further cave in and avoid people. It is thus, mostly up to loved ones who are close to the person to try to make sense of the new changes in the person and intervene in time, so that a full recovery can be ensured. The word YABA, when literally translated means ‘Crazy Drug’ in Thai. These are small red colored tablets which essentially contain a mixture of Methamphetamine and caffeine. It is a dangerous stimulant that can be highly addictive and extremely harmful to both the body and the brain. In recent times, the use of this drug is rising in Thailand and Bangladesh and most of the victims of this drug tend to be the youth, especially those from affluent families. The drug is also used by a large number of medical and engineering students as they feel it helps them concentrate in studies and cope better with the pressures of their line of study. This feeling is basically what attracts people toward this drug. But quite soon, this effect starts to wear off and complexities set in. Yaba users have been reported to have committed a variety of crimes while in the state of high. In fact, due to the highly energized state of mind, the Yaba user takes to risks, just for the fun of it. Although the addiction to Yaba is more difficult to overcome, as compared to other addictive drugs, an early intervention can help minimize the effects and dependence. It is strongly advised for anyone who finds themselves addicted to Yaba to visit a Rehabilitation center, where experts can help diagnose the extent of the addiction, the damage caused and how best to lead the patient to recovery. The intensity and presence of these effects varies from person to person depending upon the composition of the tablets and the tolerance level of the person’s body. Perhaps the effect which hits the person the earliest is the inability to sleep. The caffeine and meth content the in the Yaba energize the brain so much that the brain becomes incapable of coming down from its state of alertness. Although the person gets tired and feels in dire need of sleep, the brain just can’t get to shut down. Long-term effects of continual Yaba abuse are even more damaging. The natural rhythm of the user’s heartbeat will become much more rapid, a rise in blood pressure is common. This can eventually lead to brain damage and tears in the neck arteries. Therefore, there is a high risk of brain stroke. Alcohol addiction, also known as alcoholism, is a serious problem and it involves the inability of a person to control his/her drinking habits. There are multiple factors that can cause alcoholism. Most of them stem from Psychological, genetic, and behavioral factors. It is a lesser known fact that some people are more susceptible to alcohol addiction than others. When alcohol enters your body, it goes into your bloodstream, through which it affects your brain and body functions. When you drink a lot, your body and brain functions slow down considerably. In the initial stages, you feel a bit tipsy, followed by a phase of excitement, if you continue to consume higher amounts of alcohol. This is followed by a state of confusion, stupor and sometimes, a coma if the amount crosses your body’s inability to process the quantity of the drink. Alcohol addiction is difficult to detect, unlike YABA or heroin addiction, because the severity of the problem and the frequency of drinking differs from person to person. A person can be called an alcohol addict when they heavily rely on drinking and can’t stay sober for an extended period of time. A person with an alcohol addiction is capable of taking dangerous risks while drinking. These risks could put not only them, but others at risk too. These complications are some of the reasons why it’s important to treat alcohol addiction in its early stages. It is possible to completely avoid or treat nearly all risks involved with alcohol addiction with a high probability of successful long-term recovery. An inpatient or outpatient rehabilitation program is a common initial treatment for alcohol addiction. Sometimes just an outpatient treatment is enough. However, if the situation does warrant an inpatient treatment, the program may last anywhere between a month to a year. It can be very helpful in giving support to the person in handling withdrawal symptoms or psychological/ emotional challenges. At AMAR Home, we help people with alcohol addiction problems by providing this support, helping them manage the stress of recovery and the equipping them with the skills needed to prevent a relapse. We also advise on a healthy diet plan to help undo the damage alcohol may have done to the person’s health. Drug addiction is a complex disease. It can be terrifying. Most of the times addicted people themselves don’t even know when or how they became addicted. When a person gets addicted, it affects the entire family. And as a result, the patient may lose his/her biggest moral support system. It is considered as a part of the disease. But if the addicted person is looking for a cure, he/she has already accomplished a major part of the treatment by acknowledging the fact that he/she needs help and is willing to conquer his/her such condition. However, depending on the complexity of the addiction type, the path of actuating this usually needs more than good intentions and strong will. That’s where professional treatment is vital. AMAR home is a drug rehabilitation center run by professionals to treat drug addiction problems. Detoxification, therapeutic community, psychological counselling with the influence of 12 steps based group support are our major treatment programs. When you feel a strong urge to continue using drugs or anything harmful even when you know it’s hurting you, it is normal to feel helpless. But what you might not realize is that recovery is possible. Help is available and treatments actually work. Addiction is like other chronic diseases and full recovery is possible by the right treatment. However, our society doesn’t treat these kinds patients like others. It is a major part of the damage caused by the addiction. But when you come to professionals like us, you are not judged. Rather you are treated like any other patient. So if you are seeking help for yourself or your loved ones, you can find information on our site about our treatment programs or you can also consult with our professionals who have solutions that you have been looking for. Addiction is a brain disease. Human brain is like the control point of the body. It sends out signals to direct your actions and choices. Drug addiction causes changes in your brain’s actions, choices and even the way you feel. The part of the brain that helps a person to feel pleasure can also be affected by the consumption of harmful amount of drugs. As a result, drug becomes more important to its consumer. At the beginning of the addiction a person feels pleasure in consuming it. But later on the pleasure is not as strong and they need the drug to prevent feelings associated with withdrawal symptoms. This is mainly what happens when someone is addicted and is the main reason why it is so hard for any addicted person to quit. But it necessarily doesn’t have to be this way. Quitting is hard but it is not impossible. If one can gain the right help and courage to get himself/herself out of addiction, it can be completely be recovered to a healthier lifestyle. AMAR Home is here to serve that help. Addiction is often misunderstood and mistreated. At AMAR Home, one can get access to our professionals specialized in treatment of the entire range of drug addictions in our society. Our trained and experienced professionals can help to recognize the stage and condition of a problem of individual and then treat accordingly. There are kind of addictions that progresses through predictable stages. It requires certified healthcare professionals and specialized doctors in addiction medicine to diagnose and prescribe accurate treatments which are easily available at AMAR Home. After recognizing the condition of the problem and stage, our professional team proceeds with the apt treatment program that one would require. Our tested methods and result based treatment programs has given significantly successful results from the beginning. A patient can be lead to the path of successful recovery through the required path. The length of the treatment depends on the stage and complexity of the disease. Here at AMAR Home we offer a range of treatment programs. Our treatment programs are flexible according to the unique needs of an individual’s requirements and commitments. As a part of this, we can tackle any physical symptoms related to the addiction so our professionals can diagnose an individual’s underlying cause and triggers for the addictive behaviors. Our treatment programs can also be tailored to any individual’s specific requirements and personal circumstances. On our site you can get detailed information about every program and also contact information with the authority for your thorough acknowledgment of our treatments so you can judge from all point of views and make a well informative decision for yourself or your loved ones. AMAR Home’s expert team of psychiatrists, therapists, psychologists, clinical staff, highly trained and experienced mental health treatment professionals led individual treatment programs. Our treatments are backed by scientific experimentations and we do a thorough research on the individual’s behavior which enables us to provide the highest standards of care to you. 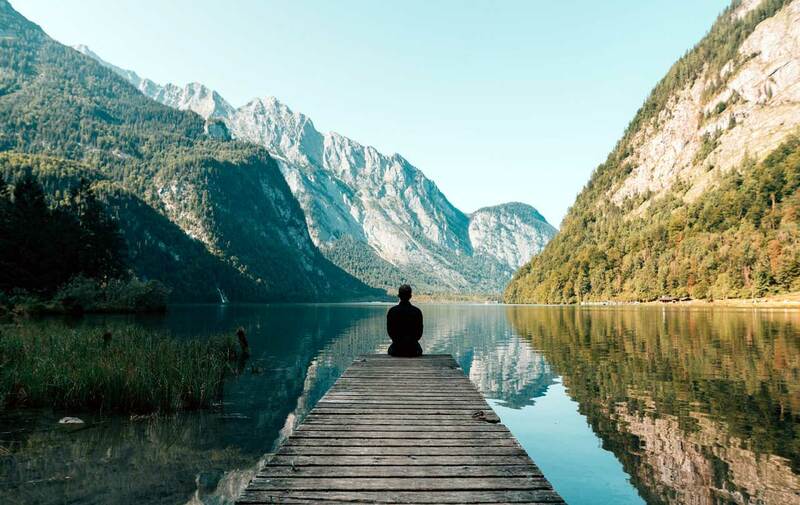 With the both psychological and physical treatment, we make sure your motivation to get cured remains profoundly high so you can be benefited from a proclaimed package of care in order to produce the best possible outcomes as an individual patients and allows to overcome any relapses of any addictive behavior. There are no quick fixes for drug addiction. 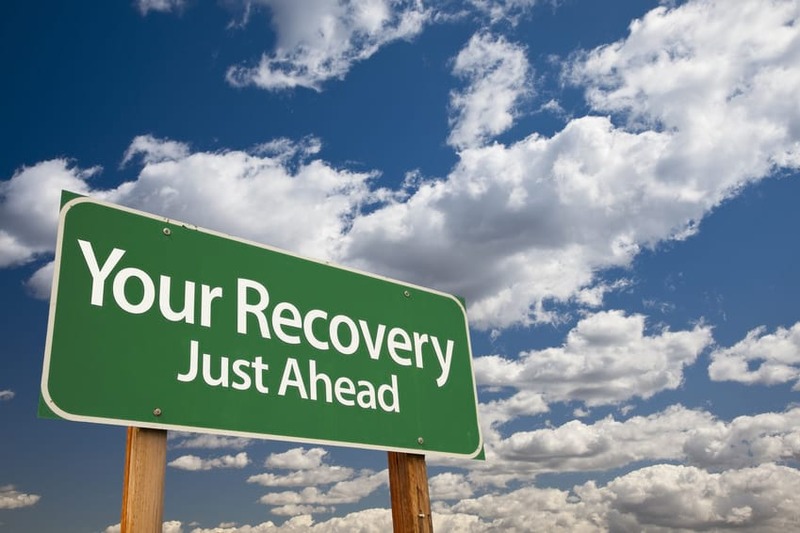 The process of recovery is usually lengthy. To ensure a comfortable journey to your recovery, we encourage you to consult with one of our professional experts prior to the treatment at AMAR Home so you can discuss your concerns in confidence, receive guidance and acquire a thorough understanding of the required treatment in recovering from the individual’s addiction problem. We will also gather information in patient’s medical history to prescribe advice on future treatment. AMAR Home is one of the largest independent drug rehabilitation center in Bangladesh located at the heart of Dhaka which has been helping in rehabilitating people from drug addiction to a healthier life since 2012 with an outstanding success rate. If you or any of your loved one is struggling thorough such tough times of addiction, please, do not hesitate to contact us. It is never too late to get help. Nothing is more harrowing than having to deal with the fact that you have a child who is addicted. It was a very unfortunate circumstance under which my son got addicted to some drugs. But AMAR Home was like an answer to a mother’s prayers. The specialists and therapists at the center worked incredibly in making my son believe that he could overcome his addiction. They spoke to him and counseled him in such a way that my son started to confide in them and open up. This helped him tremendously in getting to the root of the problem and has been able to have a more long-lasting effect on him. It has been almost a year now and my son is sober, clean and has a fresh outlook to life. Thank you, AMAR Home. I want to take this opportunity to thank you, AMAR home for being such a great influence to my daughter’s life. You really turned her life around. Unfortunately, we as parents could not provide our daughter with the amount of love, care, honour, self-respect and determination that you were able to provide. She has come quite a long way since and she would never have been able to make it without you. It makes me shudder to think that had it not been for you, we might as well have been writing her obituary instead of this thank you letter. Thank you once again and all the best to your wonderful staff. After years of struggling with addiction, a family friend of mine referred me to AMAR Home Drug Addiction Treatment Centre. From the time that I arrived there, I knew I was at the right place. To be quite frank, I was expecting to be judged for letting myself get addicted, but the staff welcomed me so warmly that I completely forgot about all my inhibitions. I was treated with dignity and respect and felt safe when I realized that there could be a better way to live. Every moment that I spent with the counselors, staff and other patients changed who I was. I can honestly say that AMAR Home saved my life! It has been almost 9 months since I left AMAR Home and I am now a happy person, living a peaceful and sober life. I strongly recommend AMAR Home. Thank you, AMAR Home, for believing in me and teaching me to love myself. AMAR Home is a pioneer drug addiction treatment center where you get freedom from addiction and we are dedicated to help people who are suffering from drug addiction. Our treatment program is built on the foundations of Detoxification, Therapeutic community, Psychological counseling with the influence of 12 Step based support groups.